After visiting the fantastic Bavarian region of Germany, we moved on to the actual reason for our visit. 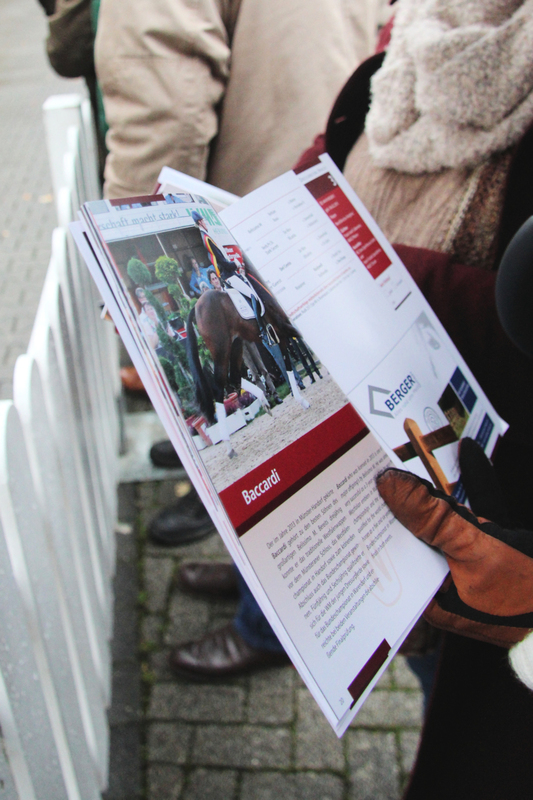 As a member of Westfalen NA, I was invited to make the trip to Germany to attend the Westfalen Stallion Licensing. Likely this was the kind of invite that is only extended out of politeness, but we took them up on it anyway! We were two of five Americans in attendance that I saw. Luckily, lots of Germans know English, but I was in a bit of bind when someone poked me and laughingly said something in German. I really feel like I missed out on that joke. Westfalen has their own facility, complete with fields, barns, indoor and outdoor rings, a bar(??? ), lounge, indoor cigarette machines, and free toilets that never seemed crowded despite the bizarrely large crowd. This is also when I figured out that likely 40% of Germans smoke, and they do it anywhere at anytime. The event spans over three days. 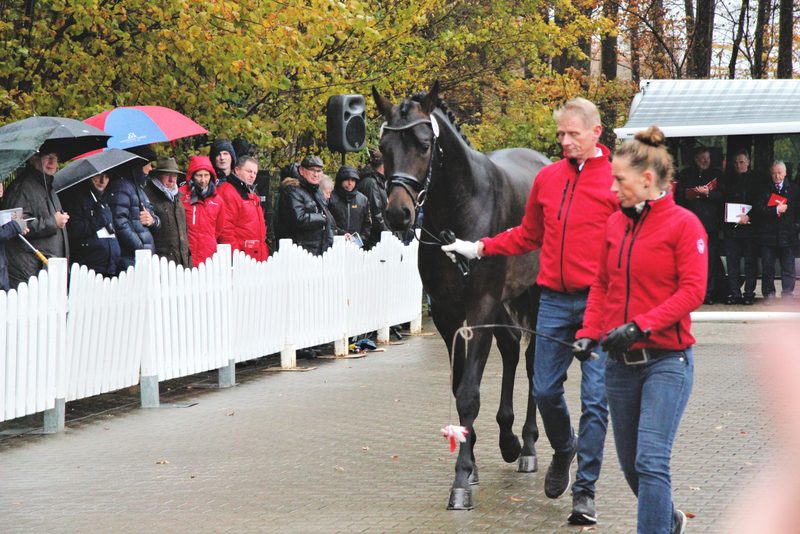 On the morning of day 1, they held Germany’s Next Top Stallion and had a runway trot off. 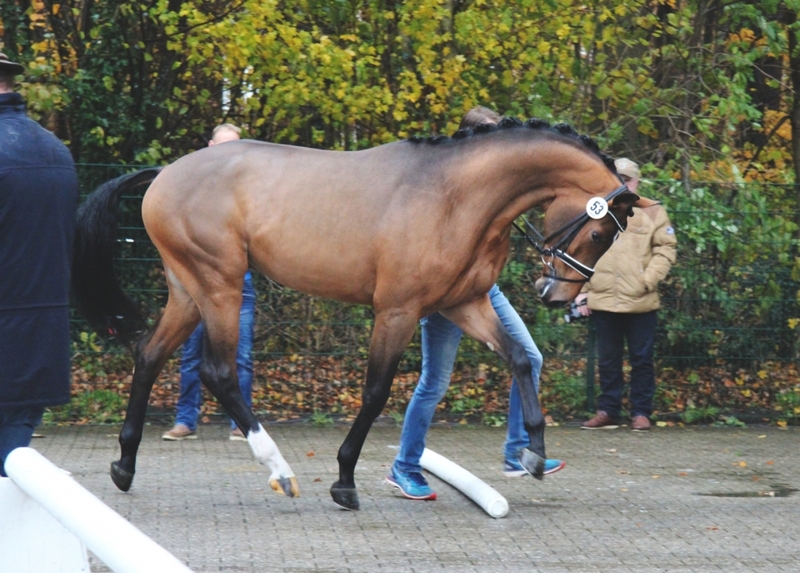 The stallions were walked and trotted (and sometimes got excited and cantered!) on a brick surface. 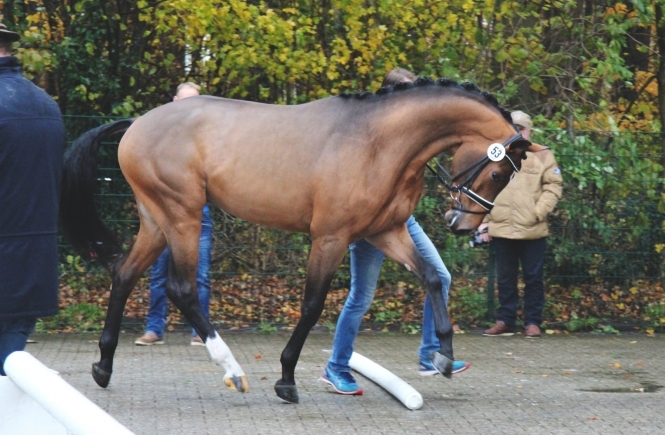 They were tested for purity and correctness of movement and gaits. Any flaws were very apparent on this unforgiving surface. 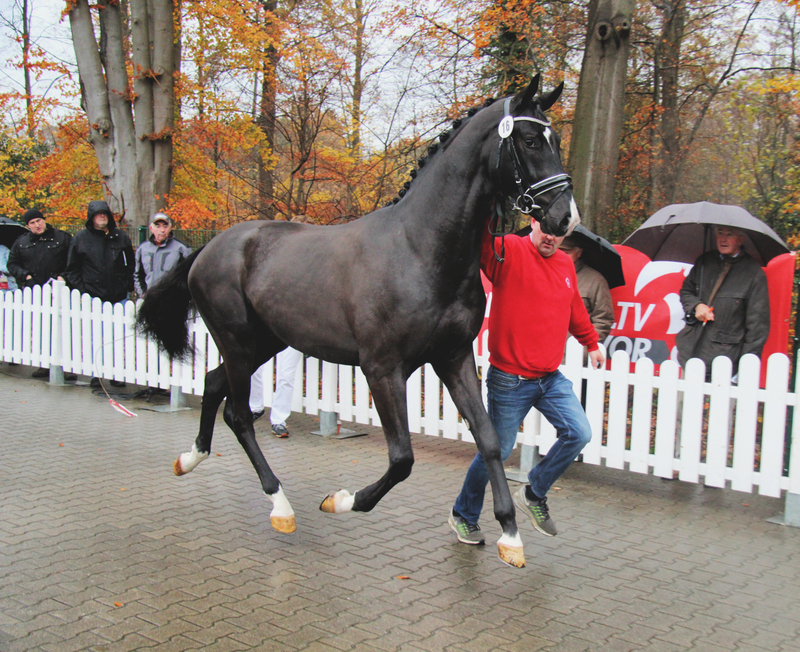 Unfortunately for the stallions, it was also raining and cold, and it affected their test. A few stallions slipped on the wet ground, and they do get marked down for that. As the rain got stronger, the stallions were visibly trembling while halted. 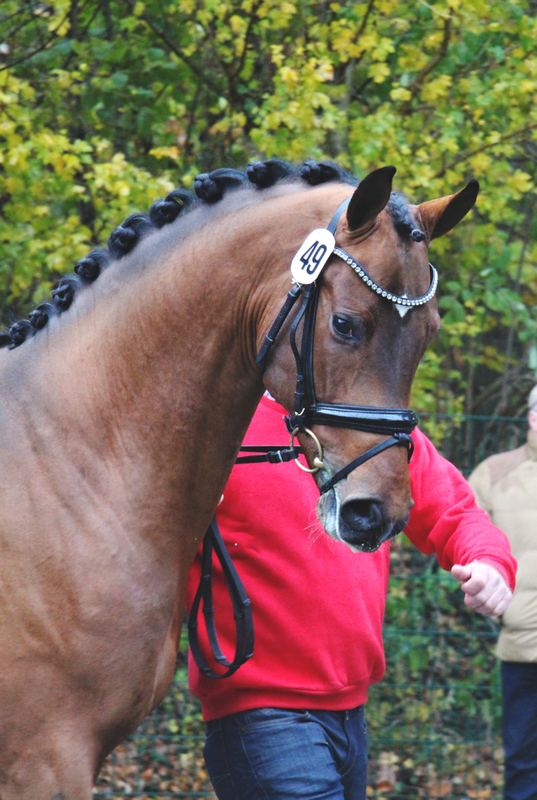 The dressage horses were trotted out first, and then the jumpers. Hilariously (to me anyway) the huge crowd that was present for the dressage horses quickly disappeared for the jumpers. Apparently, the jumpers aren’t worth standing in the cold to see. Once the type switched, it was interesting to see the difference. The builds were different, the way they held themselves was different, and unexpectedly, the color change was noticeable. 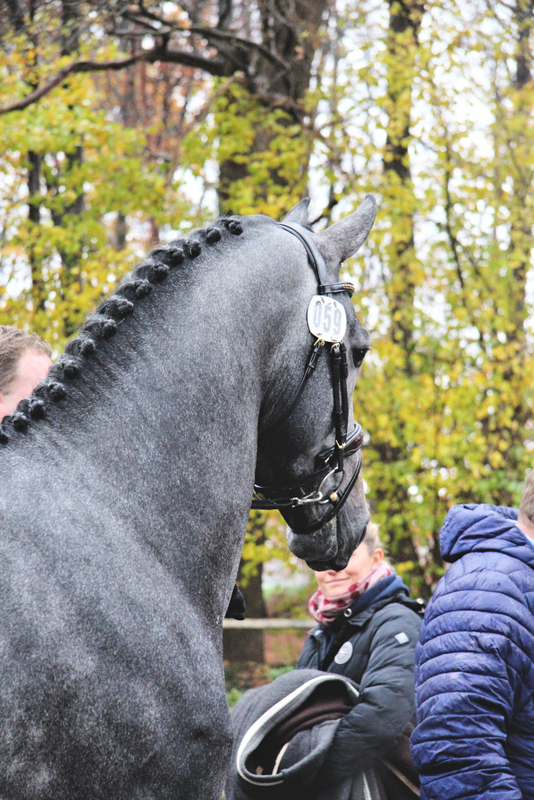 The dressage horses had been bays or blacks, and the jumpers switched over to lots of grays. This, of course, was a side effect of the breeding. Many of them have very similar parentage, so naturally, they are going to look like their relatives. It was fascinating to watch the handling. 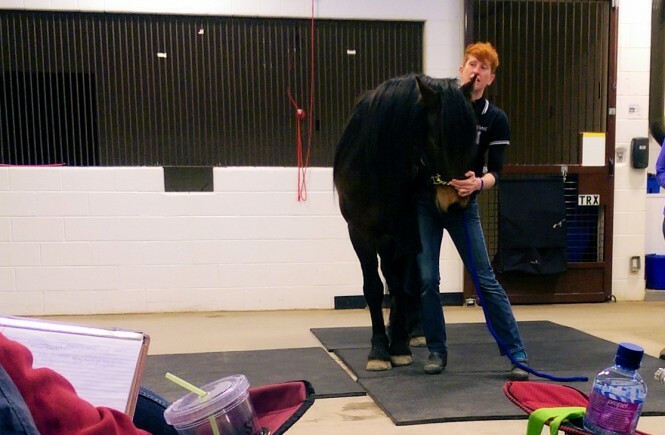 I learned later that the handlers of these stallions are their trainers and volunteers from a local riding club. They were all complete professionals and worked together as a well-oiled machine. The stallions were obviously well handled prior to this event, but they are only baby horses, and any antics were handled appropriately and with finesse. These people know what they are doing. The trot off went on for four hours. I felt like I would never be warm again, but I guess that’s why there’s a bar in the barn. There was also an entire tent set up, wedding reception style, with more alcohol and a buffet. These guys sure know how to throw a horse party. There was a lunch break, and then the day continued on, luckily, this time inside! And in the next post! 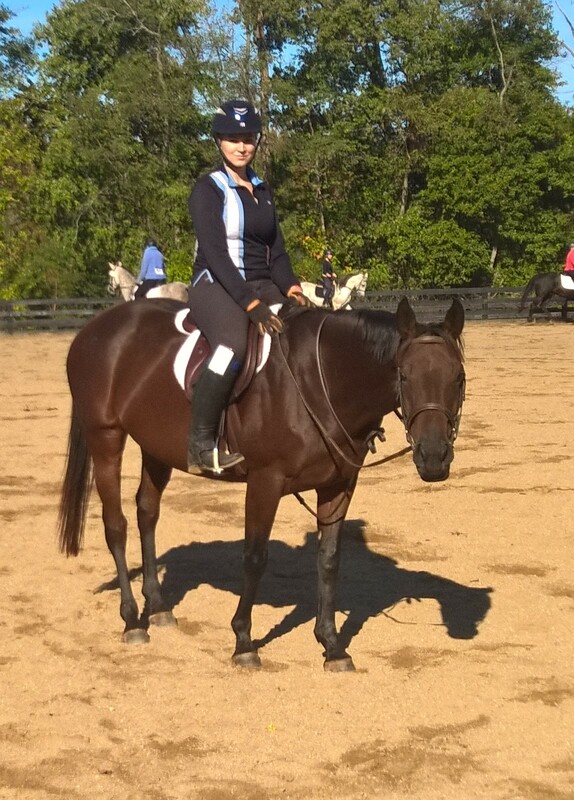 First Riding Lesson in Forever! A shame about the weather but what a cool experience and my god but those horses are gorgeous! I’d love to watch something like that one day!